A hoop. 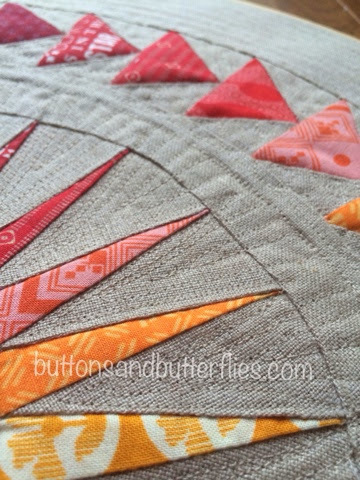 A quilt block. And a clock. A match made in heaven if you ask me! I have a confession. I can't function without an analog clock or watch. Digital clocks strain my brain. I need to see the clock face. I need to see time in pie chunks. 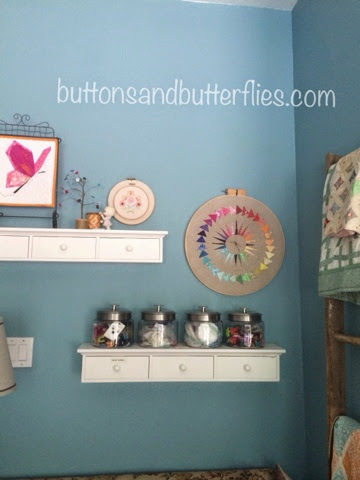 When we did the recent Studio Makeover, I mentioned that here were still many things to do. This was one of them. I had a standing clock that was just taking up valuable floor space. The focus on the makeover was to simplify. The second mission? If I add pieces or artwork, I want them to be inspiring. 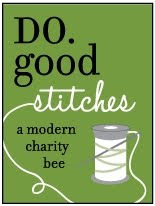 But when we decided to donate it, I was left with no clock. I saw some seriously adorable clocks Like this one. I scanned my Pinterest and I noticed the New York Beauty with flying geese blocks I adore and knew it had to be done. The background fabric is linen. Full Disclosure: It was not easy. 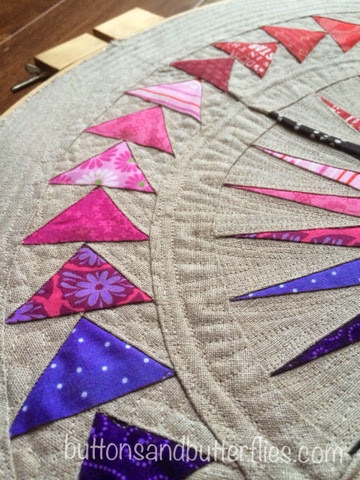 It paper pieced very nicely, but then it became squirreley when I pieced the curves. I tried piecing them with and without the papers in. Still stretchy. I was not impressed and got to the point where my repairs starting making it worse so I stopped. 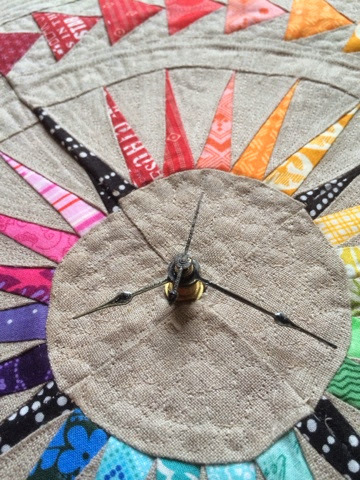 It was time to quilt. And I was excited. 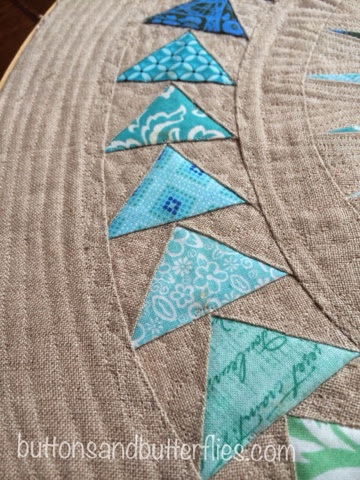 Until I realized most of the quilting just blended right into the loose weave. 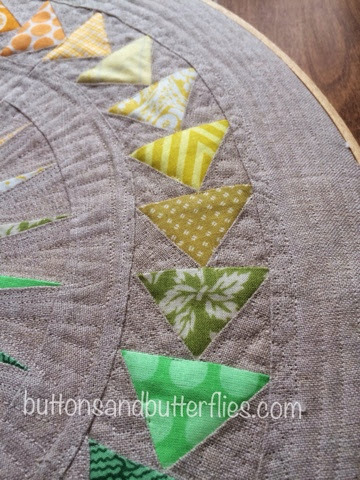 I had hoped to be able to see the quilting from afar. No luck. Again...it was just time to move forward. 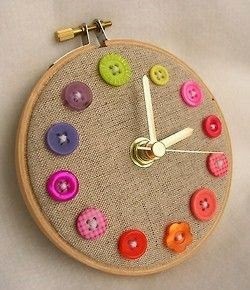 Place it in the hoop and add a clock mechanism. I cut a foam circle slightly smaller than the hoop so it would be snug. 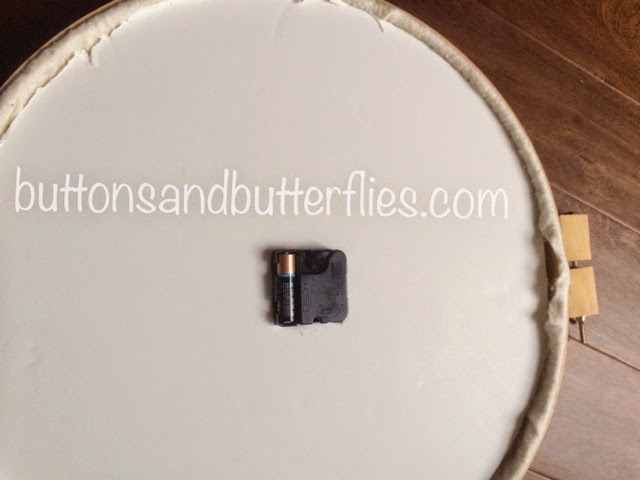 I had to cut out a small square hole because the batting and foam were just too thick. It's nice though because it is nice and snug and stable and doesn't pull the front to the back at all. The hands were gold so I painted them black for more pop. I still would like them longer so that might be an improvement in the future. But for now...I am happy. Makes my right and left side of my brain are satisfied. Heidi, this is stunning!! One of a kind, and worth the struggles that you had. Simply put, amazing? Thanks Heather. Even with the oopsies, I still love it. I think definitely worth a try with cotton next time! I'm like you with analog clocks and watches. 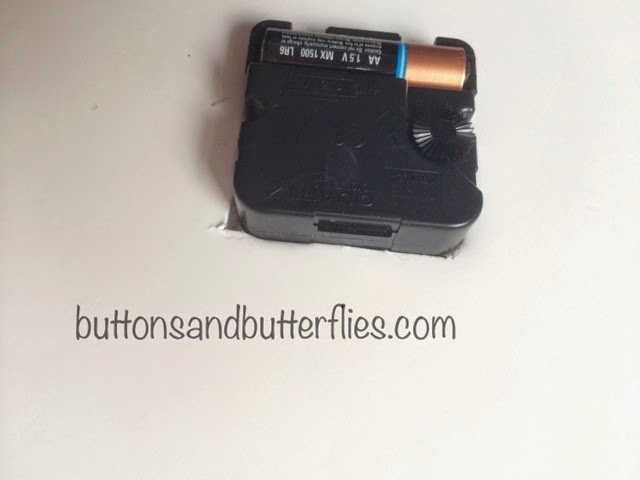 I can't handle being without my watch (arguments about cell phone clocks hold no sway!). 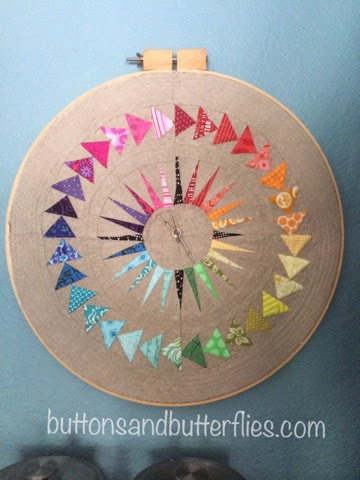 I've been thinking about making another hoop clock ever since I made one for a swap partner a long time ago and seeing your beautiful on has made me think now may be the time! Great job! This is beautiful! I've pinned it immediately! Great idea! 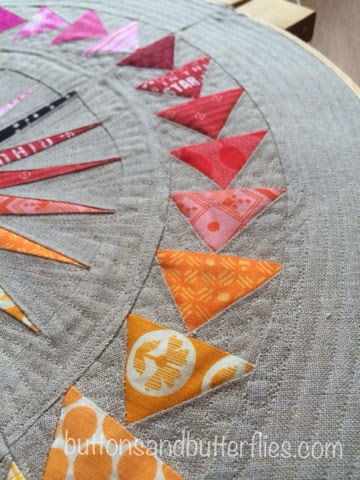 Curves are without adding in the piecing and the linen! Beautiful job, and great addition to your decor. 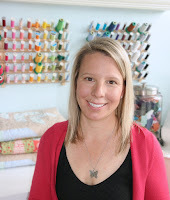 Hi Heidi =) My name is Karisma and I found your site at finish it up friday on crazy mom quilts. 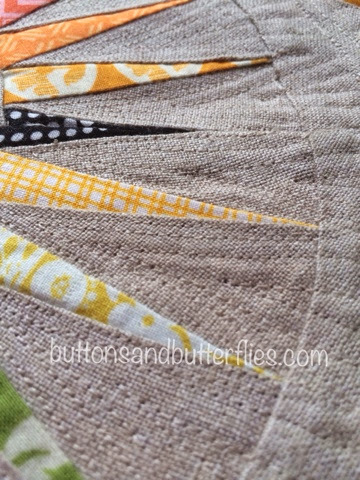 I love the colors that you chose on the linen! Also, what a great idea! 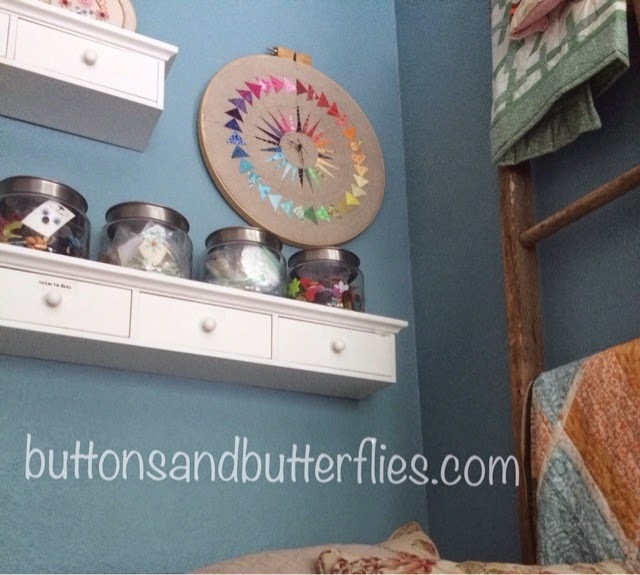 =) It adds such a nice touch to your sewing space. Happy friday! Aloha. What a gorgeous project, in spite of the aches and pains it gave you. This is a beautiful addition to your studio. Love the colors you chose! This is terrific! It looks so good that one would never guess you had any trouble with it at all. Love it! I can't believe I missed this post!!!!! I LOVE it!!!!!!! !